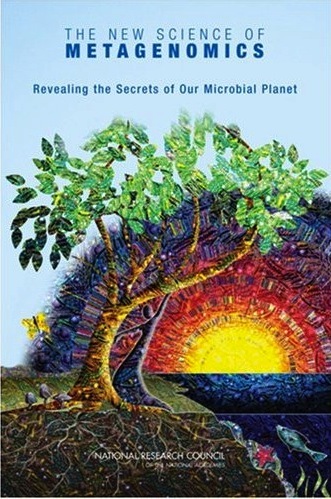 Metagenomics is a rapidly-expanding field that repeatedly tells us how little we know. Metagenomics is basically the process of surveying genomes in the environment. By going to genome analysis as directly as possible, this reduces the issues of isolation and culture. If you can isolate or grow bacteria or viruses, you probably already have a fairly decent idea of what you’re looking for. Metagenomics lets you see what’s actually there, not what you think should be there or what you happen to be able to work with. And it seems that wherever the metagenomists go looking, there are vast numbers of viruses1 hiding, unculturable or unidentifiable. 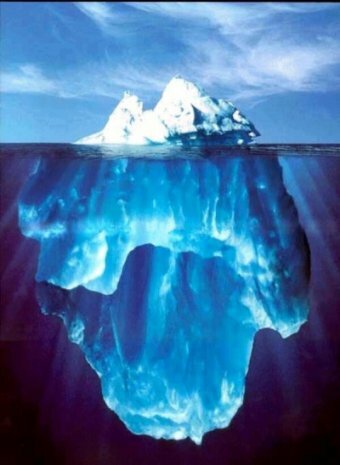 We’ve been looking at the tips of the icebergs, thinking that the little bumps and valleys we’ve mapped are the whole story; and now we have to start looking at the hidden part. This is true whether the samples are from what we think of as the “environment” (lakes, oceans, soil) or from animals and people. Pretty typically, most of the genomes that get turned up — well over half of them — don’t look like anything we know about. Just to put a little context on that, over 2000 viruses have had their genomes completely sequenced, and there are over 1,000,000 sequences in GenBank tagged “virus”; yet if you go and look pretty much anywhere, most 0f the viruses there are completely new to us, so different that we can’t even detect the most distant relationship to anything we know about. In the next few years, there’s going to be yet another data explosion, as metagenomics turns up new things in astronomical numbers. Clinical research is going to have to scramble to understand what these mean — which of these are pathogens, which are irrelevant as far as disease and health? We’re going to need new tools to understand and screen these things. It should be interesting to see what happens. At the risk of looking really stupid: if these sequences are totally unrelated to anything known – how do the metagenomics folks know they are of viral origin ? Kay – I should go back and double-check that (I had an answer when I read the papers but I don’t remember what it was … ) but I’ve been giving and marking exams all week, and tomorrow I’m “chaperoning” an all-day school trip with my son; so no time. One point was, as I recall, that these were RNA genomes, meaning viruses; but how they knew they were genomes and not mRNA I don’t remember. I too find this field very intriguing, but have trouble seeing the path to biological meaning. How much of this stuff is garbage…degraded, free-floating nucleic acid? How do we know any of it is from viruses? Maybe there’s and RNA world happening before our eyes? How many of these novel “viruses'” existence has been validated by some independent methodology, even sequence specific PCR for example? In the field of viruses and bacteria metagenomics are revealing exactly how little we still know. It’s simply mindblowing. Fortunately most of these newly discovered creatures are harmless.